the effects of the Depression on America’s rural and small town populations. The photographs are the property of the Library of Congress and were included in a 2006 exhibit Bound for Glory: America in Color. 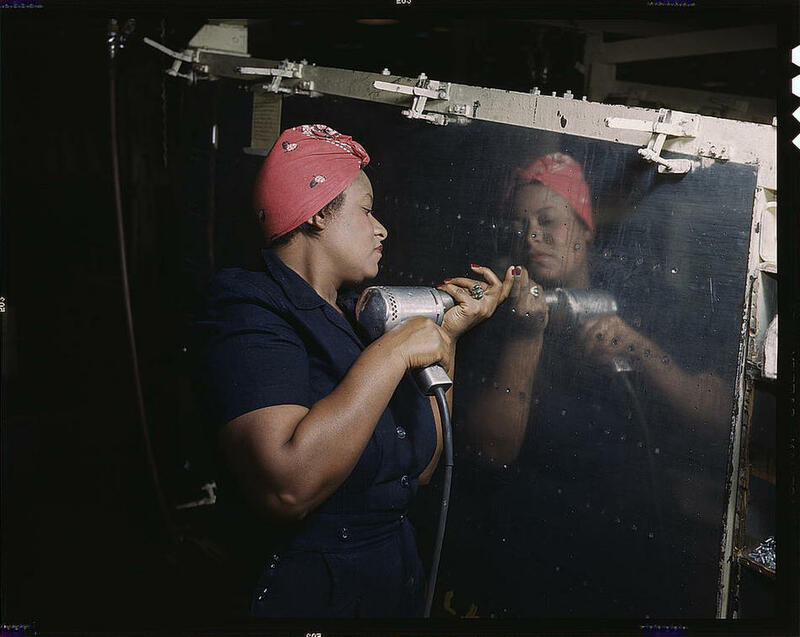 As Abel noted, Rosie the Riveter was black. Though there were a few exceptions, yes, she was, but not until late in 1944. African American “Rosies” were the last to be hired in the home front industries. Those workers were hired in waves; first men too old to fight; boys too young to go to war; single women; married women, black men, and only then were black women allowed to join the war created industries — as the pool of available workers began to shrink. Henry J. Kaiser led the way in breaking down those barriers, but others were slow to follow. How do I know? Because I was one of them. You are currently reading Rosie the Riveter was Black at Sun Dappled Forest.